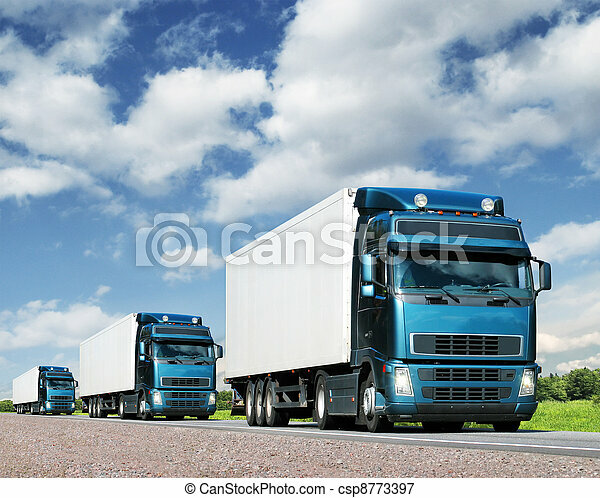 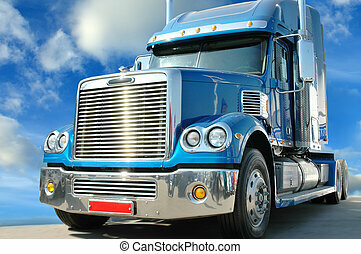 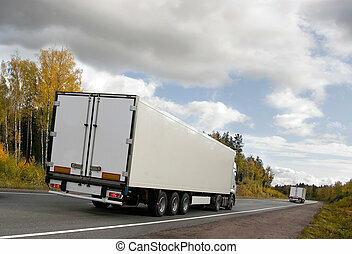 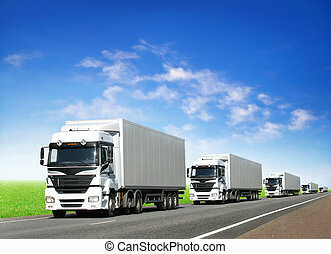 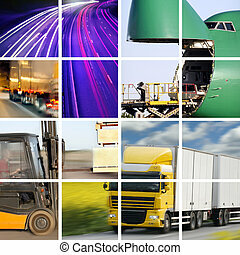 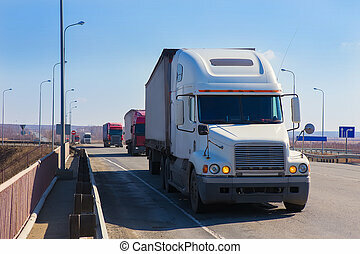 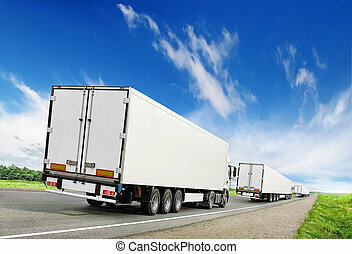 Convoy of trucks on highway, cargo transportation concept. 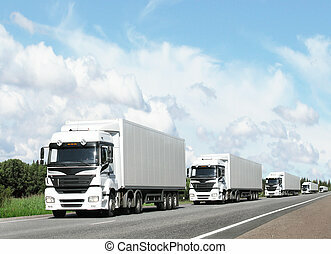 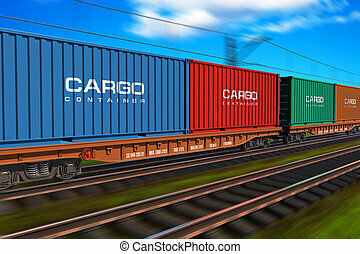 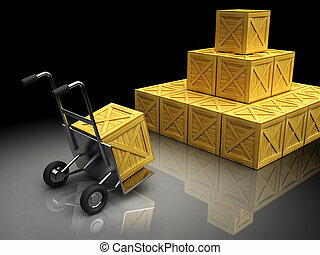 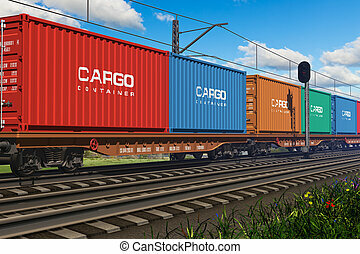 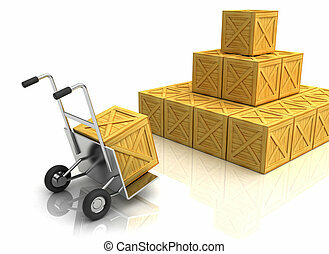 Caravan of trucks on highway, cargo transportation concept. 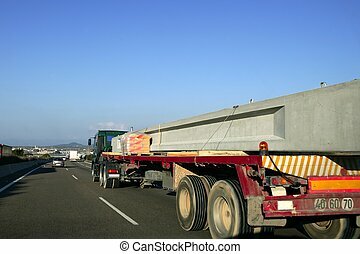 Ameriman truck. 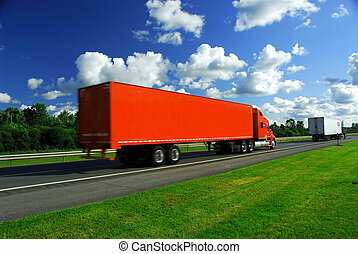 Vivid under sunlight. 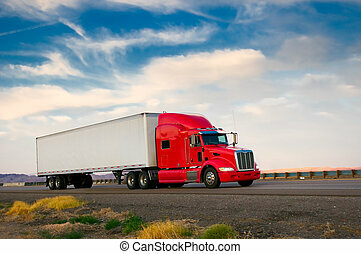 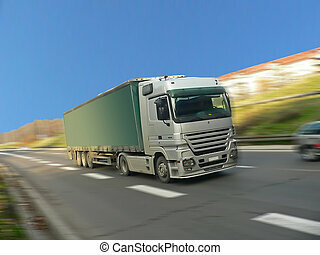 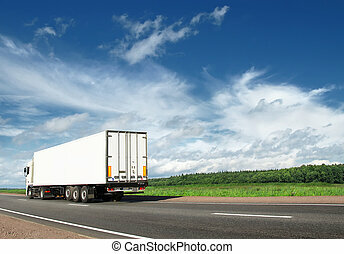 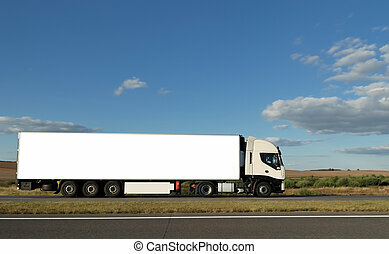 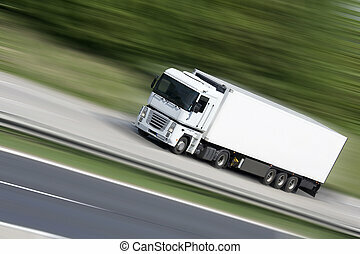 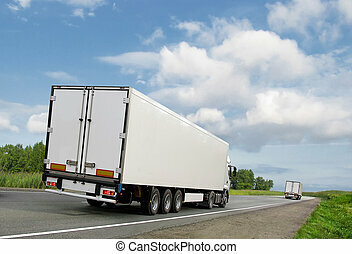 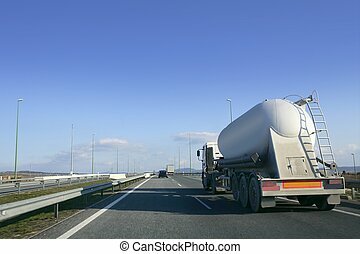 Long lorry with white truck and trailer on highway against blue sky. 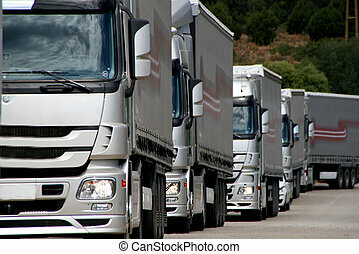 See my other best vans collection.